Flights from Minneapolis to Las Vegas are popular with travelers who are looking for a desert escape. 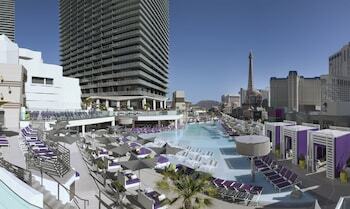 Las Vegas is a hub of entertainment, offering everything from casinos to world-class performing artists. 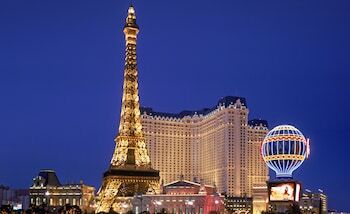 With Orbitz.com, you can find bargain tickets from Minneapolis to Las Vegas. Located in the heart of the Great Lakes region, Minneapolis is known for its welcoming atmosphere and friendly people. The city is home to the Mall of America, numerous professional sports teams, award-winning theaters and a thriving arts scene. The Minneapolis-St. Paul International Airport is located about 10 miles southeast of the city center, just north of Interstate 494. If you are driving to the airport, parking is available near the terminals. At $6 per day, the MSP Value Parking is the best deal at the airport. The Metro Transit buses run to the airport from points around the city, and the Light Rail system also stops at the airport. Both options cost less than $3 per person. Airlines that fly between Minneapolis and Las Vegas include AirTran, Delta, Frontier, Spirit, United and Southwest. If you need to get a meal before your flight, the airport has a fast-food court and numerous dine-in restaurants, including Pei Wei Asian Diner and La Tapenade. 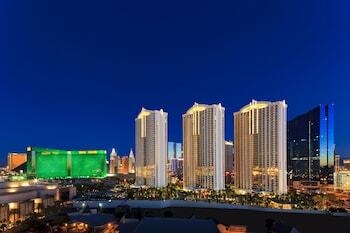 Las Vegas is a one-of-a-kind city, offering endless gambling opportunities and numerous visual spectacles. 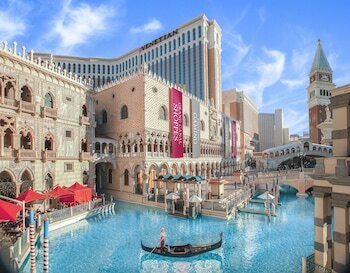 The city is home to famous buildings, from the Venetian Casino to the towering Stratosphere. 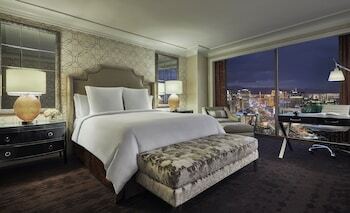 Over 38 million people visit Las Vegas each year. The McCarran International Airport serves Las Vegas and surrounding small communities in Nevada. 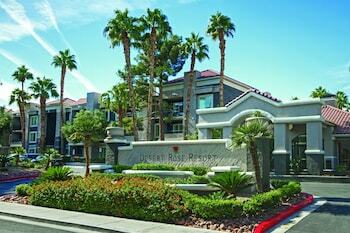 It is located just off of South Las Vegas Boulevard, which is also known as "The Strip." If you are planning to stay on The Strip during your trip, the best way to get to your hotel is by public bus or door-to-door shuttle. The RTC bus runs from Terminal 1 and costs less than $3 per person. Shuttles, which vary between 8$ and $15 per ride, leave from all terminals and stop at most major hotels on The Strip. The drive to the hotels on the south end of The Strip takes about 15 minutes. 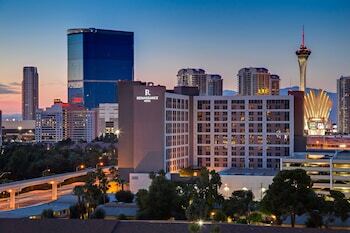 If you plan to venture further into the city or southern Nevada, car rental agencies are available at the airport. Las Vegas has mild winters and hot, dry summers. In January, most days hover around 50 degrees Fahrenheit. Summer days often reach above 100 degrees Fahrenheit. Las Vegas is famous for its unusual casinos, which have memorable designs that mimic world landmarks. From the pyramid of the Luxor to the skyscrapers of New York New York, the city offers endless photo opportunities. Gambling is the most popular activity in the city, but you can also find shows, concerts, shopping, carnival rides and nightclubbing. 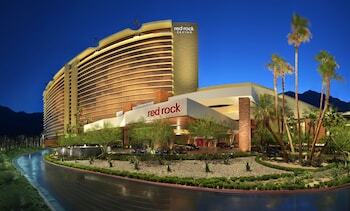 With numerous departures from Minneapolis to Las Vegas, traveling is easy and convenient. With Orbitz.com, you can book flights that fit your schedule and price range. Check out the Activities section for bargain prices on tickets for performances and activities in Las Vegas.